My spouse and I bucked the Millennial trend when it came to choosing our living arrangements: at the young age of 22 for me and 25 for him, we bought a house. It’s not that we were ready to settle down, desperate to live in the ‘burbs, or ready to start filling up those 4 bedrooms with kids. The house we bought is far from our dream home, and it’s also far too big. So why did we buy, when A. our house doesn’t seem to align with our goals or desires and B. most experts advise people like us to keep renting? One reason and one reason only: we believed it was a good investment. As I’ve discussed before in the personal finance blogosphere, our home was an investment for a few reasons. It’s in a sought-after suburb that originated as a planned community. It’s an affluent area with great school systems and lots of great amenities for families and kids. The house itself is a two-story traditional style, complete with fenced in backyard. We bought it in fantastic condition and the only work we’ve done on it is cosmetic. It was built in the 90s and nothing was really updated, but it wasn’t falling down and hasn’t (yet) required a huge amount of cash to fix or replace anything. And we got the timing right. We bought at the bottom of the market and the sellers were desperate to get out of the house as fast as possible. They came off the list price by $10,000, paid for a variety of repairs and maintenance tasks before we closed at our request, and paid the closing costs. Through our lender, we got a fixed-rate mortgage with an interest rate around 3.5%. It was a hell of deal all the way around. So, yes, for us, our home is an investment and we’ll likely enjoy a nice return at some point in the future. But because of all the reasons we’re looking at a great resale value (size and location being the primary two), the house is not a good fit for us long-term. It’s too big, it’s too far away from the places we want to be, and it has perks like good school systems that just aren’t applicable to our situation. Recently, I started to question whether or not we did the right thing by buying. It’s hard not to second-guess yourself when all the media outlets are churning out stories on how Millennials aren’t buying homes and many of your friends claim purchasing a home was a mistake. As with many other things in personal finance, it’s hard to feel like the oddball when you take different actions for the purpose of building wealth. Our Rent vs Buy Argument — Did We Make a Good Decision? Our 5-ish year plan is to move out of the house. Instead of selling, we plan to rent it out. But when I started feeling like we were wasting our money on a mortgage payment when we could be wild and free like our rent-paying friends, I started scheming. Maybe we could move ourselves to an apartment in a place we wanted to live now and rent out our house today. Why not? Surely it wouldn’t be difficult to find a little place for less than our mortgage payment of $1000 per month. Little did I know how much it cost to rent, even in a little downtown square in the suburbs — not even the city. We went to check out a new apartment building in our downtown area and looked at a two bedroom, two bath floorplan. It was 1100 square feet and really nice.. and over $1,400 per month to rent! $400 more per month than a property I owned that was 2400 square feet and came with my own garage, driveway, and outdoor space? Hmm. Maybe our living expenses really weren’t as bad as I had thought they were with that mortgage. Based on many articles I had read that argued against home ownership for young 20 somethings and those that firmly denounced the old rule that said buying was always better than renting, I had started to think that we should have kept renting, too. But after seeing the price for a rental at that apartment complex — and checking out some other prices in areas we’d like to live in — I wasn’t so sure. I decided to run our numbers through this comprehensive rent vs buy calculator to figure out what situation was truly better. After plugging in all our information, the calculator told me that in order for renting to be a better deal I’d need to find a place to rent for $676 or less per month. Buying a home worked out to be the better financial deal for us. I mean, yes, we probably could find someplace, somewhere to rent for less than $700 per month. But that’s far from realistic. Heck, I think our parents would probably ask for a rent of about $500 if we wanted to move into one of their houses! It was an interestingly little thought experiment to run. Of course, that calculator isn’t the end-all, be-all, but it does give some insight into whether renting or buying is best. It just underlines the fact that personal finance is personal. Despite the fact that some people might think we’re wasting money or spending too much, despite that I come across little news articles every day saying that Gen Y should rent because buying a home doesn’t make sense anymore, in our case the math points to the argument for buying. When it comes to the rent vs buy argument, I don’t think there’s a single right answer. There are too many factors in play, and too much depends on more intangible things like your values, goals, and what you want out of life. What’s the conclusion to this argument for your situation when you crunch your own numbers? Hmm. In our market if you look at purely the numbers, mostly renting makes sense. BUT, the quality of rental housing here overall is disgraceful. So it’s not apples to oranges. Then renting doesn’t make more sense 🙂 You have to compare a rental and home of equal size, date built, etc. Check out that link to the calculator — it’s much more than just rental price and mortgage payment. It takes a lot into account. But I understand what you mean about rental quality. Like you said there are lots of factors. For us we wanted the stability of a home and somewhere consistent to raise our family. To us a home isn’t about being a “monetary investment” it is where we spend our time with our family. If the home goes up in value that is terrific, but we just wanted to live in a great neighborhood and let our daughter grow up surrounded by friends. A home is just drywall and wood, what really matters is what goes on inside. As long as you can easily afford the rent or mortgage you are making the right decision. We currently rent but once we’ve decided which state we’ll relocate to in the next few years we’ll likely buy a condo or a townhouse. It’s often not cut and dry and there are a lot of factors to consider as you stated. Glad that ownership is working out for you well! Definitely a smart plan! You’re right, it’s not cut and dry — which is why I love tools like that calculator! I bought a two bedroom condo just over two years ago now (wow, has it really been that long!) and my total housing cost is ~$1,700/month, including the principal portion of my mortgage payment. Renting a comparable place would run almost $3,000/month today and my original comparison point was a one bedroom apartment at around $1,700/month which is now more like $2,000/month. My boyfriend and I should be able to stay here for maybe even another five years, so this is looking to be a pretty good deal, especially once you add in the property appreciation of 26% so far on my purchase price. Nice! I’m glad your purchase is shaping up to be an excellent investment, as well. We’ve also experienced a big jump in estimated value, which is always nice to see! Your story is almost identical to mine! Mr. FW and I bought our house in Cambridge, MA two years ago at 3.8% interest in what could only be described as a fire-sale in the housing market. It turned out to be the lowest price per sq foot of a habitable home for the 6 month period in which we bought! Just like you, we bought it as an investment. It’s a great house, but it’s certainly not our “dream” home, and, it’s way too big for us (we rarely even go upstairs). But, like you, we plan to rent it out when we move to a rural homestead in a few years. We’ve also looked into renting it out now and finding another place for us to rent, but, just like you, rents are so dang high (good for us future landlords!) that we have yet to find a reasonable place that’s not a micro-studio apartment. So, we’re staying put and biding our time ’til we rent! Thanks for sharing–I got a kick out of how similar our stories are :)! Hey, same here — that’s funny how similar our experiences are, and our goals too! While we want to make time to travel and hopefully live abroad for a bit in the future, the ultimate plan is to come back and buy a piece of land to homestead on! We are totally on the same wavelength 😀 Love it! I did a similar thing in buying a home that was much bigger that my needs… but I did it with the though in mind I would have roommates for a few years and would eventually need that space for kids…. Well you can never predict the future… so the roommates are gone and I left too… but never had the kids come alone…. I moved out of state and I am continuing to rent. With just that the Rent I am collecting is about +200 a month cash flow positive and I’m in a 15 year @ 3.0%. I did purchase this home at peak market in 2007 before the crash.. But having the roommates over the year allowed me to pay down the mortgage without really focusing on it that much.. I certainly could have paid it off by now… but I’ve been doing other things in life that did require money so I made some choices. If you can handle having 1 housemate and sharing some of all that extra space… sure you don’t have complete privacy.. but 2 tenants @ $450 a month brings in $10,800 a year. I was more about having a home a place to root down a bit and not have to constantly move. A place I could rebuild a few motorcycles, cars and other projects.. I wanted a home to do that in not a place I was renting. Not to mention I have never in my life found a community of neighbors and a neighborhood like mine back in Michigan. I miss that all the time… but careers tend to drive us in all different directions. Am a renter so far. It has its ups and downs. I do agree with you on one point though, buying vs renting ultimately depends on the individual, her financial situation, circmstances and plans for the future. Alternatively, if the house is too big, maybe you can rent out a room or two and enjoy the extra income, though honestly, it does come with its won headaches. But, all that being said, it’s definitely something that we’re keeping in mind. If we feel like we ever need a little extra financial push, I think that’d be the first avenue to consider. Also a good point. I am not home all that much. Sometimes I do wonder why I have a home.. I work 12-13 hour days away from home and 3 nights a week I am working out 2-3 hours a night so it really is a place to sleep. I’m a weekend warrior so I’m rarely home on a weekend.. Maybe once every 2 months. Understandable when you are home a lot.. I’m not sure I’d wanna have that either with someone always there… And then again you just have to find the “right roommate” someone like me who you would hardly notice and you get a little cash benefit out of it. I could use another side hustle.. just not sure what to get into..
“It was a sought after suburb… with great schools” – This is already priced into the property. Do you expect the suburb to be even more sought after and the schools to be even better when you sell? Otherwise, why should this property appreciate at a greater rate than the average property? “We bought at the bottom of the market” – You did not consciously do this. You ‘happened’ to buy at the bottom of the market. This makes you fortunate, not savvy. “The sellers were desperate to sell” – This is anecdotal. You could have rented from some senile old lady that didn’t change rent prices in the past 20 years, and you would be writing an article on how renting was best for you. “It’s too big” – You still pay for all the space that you don’t use or need. You get higher utility bills, higher taxes, higher maintenance, and higher home insurance. This is money you will never get back when you sell! “good school system” – Even higher taxes for your non-existent kids to have good schools. “too far away from the places we want to be” – You’re sacrificing quality of life. “Instead of selling, we plan to rent it out” – Welcome to the wonderful world of being a landlord. “we could be wild and free like our rent-paying friends” – This bothers me most. If they’re as frugal-minded as you, your rent paying millennial friends are putting their money into stocks while a good chunk of yours’ is going into real estate. 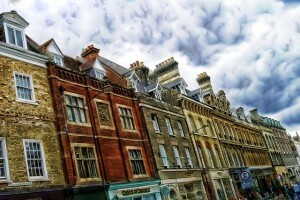 Real estate historically matches inflation: http://www.realestate.com/advice/do-houses-appreciate-in-value-64116/ . You don’t realize it, but you are paying a significant opportunity cost by buying instead of renting (especially at a young age). I suggest raising the investment return part of the NY Times calculator to at least 9% to account for this. Your purchasing a house may work out better than had you rented, but it sounds like this is mostly due to buying at the bottom of the market. That’s good fortune as opposed to good decision making.